Some of the advice is easy to answer but it is always pushed to a âsmartvestorâ. Hearing the same calls repeated in episodes is annoying. I just listen for the stories! Iâm not a big fan of Hogan. I canât handle his voice for an extended amount of time, but thatâs a personal problem! Lol. I do like to listen to the stories folks call in for. He is basically a clone of DR as are the other connected host, but thatâs just how it works. This guy is more phony than a $3 bill. If you buy into his fake, canned garbage talk youâre an idiot. Heâs as insincere as they come; anyone who has any intuition can sense this. I am learning so much about how money is used and how to become happy in financial independence. I love the show and what Chris say when starting the show (I am Focused and not finish). Wow! I find the content repetitive and his voice is kind of annoying. I keep trying to like Chris Hogan. His voice is distinctive and charismatic. But he has the unique ability of talking a lot without really saying anything. All of his advice echoes Dave Ramsey exactly. Any question that requires a deeper answer he tells the caller to contact an advisor. His books are the same way. There is really no reason to listen to his podcast if you already know Dave Ramseyâs way of thinking. I started listening to Chris and Dave about a year ago and found that their advice matched the way my wife and I handled getting out of debt. I just finished a 6-month period when I was out of work. Having an emergency fund and sticking to a budget made that crisis more of an inconvenience. Thanks to Chris Hogan and Dave Ramseyâs teachings, we are 100% debt free, including our home. Anyone can do it, if they are disciplined and consistent. Just like in his book, Retire Inspired, Hogan has almost nothing to say and spends a very long time saying it. Rarely do you hear someone call themselves an âexpertâ while having so little knowledge about the topic. His advice, on call after call, is to contact an expert. Iâm genuinely surprised Dave Ramsey associates his business with this product. It seems that Chris Hogan just refers listeners to speak to a ELP (endorses local provider). Isnât he supposed to be a financial âexpertâ. Regardless, These ELPs put you in loaded mutual funds that cost a whopping 6% off the top and have expense ratios of up to 1%. Vanguard, Schwab all have funds with no load and less than a .1% expense ratio. It unethical that he recommends loaded Mutual funds when there are many better funds available in market. Dave Ramsey actually spoke out against the fiduciary rule, which would require all financial advisors act in your best interest (why would anyone not want that). Try listening to Ric Edelman podcast for real financial advice. Its nice to hear people like chris hogan and dave ramsey tell the truth about money. Cause theres so many forks in the road in life that involve money. Keep up the great work guys. 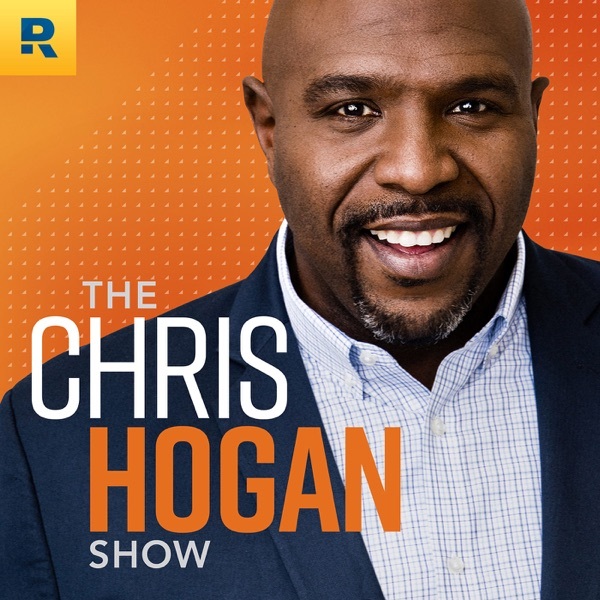 I truly enjoy listening to Chris Hogan, every time his show encourages me to focus on my money and inspires me to become an Everyday Millionaire! Thank you Chris for sharing your knowledge with us and being our coach! Almost Like Chris Better Than Dave! Iâve been a follower of Dave Ramsey for years. Itâs very interesting to see how Daveâs message has expanded without Dave being the face of the brand. Chris Hogan is a big favorite of mine! I almost like him better than Dave ð I really wish they would come out with new episodes more often! As an avid listener of The Dave Ramsey show, I was looking forward to this podcast as I am becoming more intentional with my retirement and personal finance. The listeners questions are similar to the ones I have and I only get disappointed when Chris gives his standard response with an emotional answer and for the listener to contact a smartvestor pro. There is no clear answer that he gives! This podcast is just an advertisement for his smartvestor pros. Stop Saying VIP 1000s times!!! Great show and exciting changes, but please stop saying VIP!! Chris has helped get me motivated enough to seek a 3rd job so I can increase my income potential. I really like how he does practical, actionable advice. Way to go coach!!! Chris is great for financial wisdom, no matter what your life situation is. He brings an energy and enthusiasm that isnât found anywhere else in financial podcasts. He is not only a financial expert, but also a teacher, encourager and entertainer. The music selection on the podcast is also top notch. Fave show was paying off the home early! So many great stories and real life nuggets!! Impeccable!! This podcast is good to listen for motivation but motivation doesnât lead to action and this podcast only guides you to call a vester-pro. I would like to know more about investing. I donât know anything and telling me stories about his life doesnât work. In the 12 episodes I have listen only twice does he take calls. When he answered email they are mostly answered with a (what feels to me) unrelated story. Once he has a guest to answer questions but he did all the speaking. He also has guest share their millionaire story and then he simplifies it, as if we are dumb and donât understand. The points are simple i get it. Stay focus but what if you donât even know where to start to stay focus. Listening in to Chris talk and teach about retirement helps me stay focused on our Dream Retirement. Chris has one of the best podcast on itunes. Life saving information but yet entertaining! Thank you so much for being the champion of retirement. Itâs not an age itâs a NUMBER! Chris host of Retire Inspired highlights all aspects of retirement in this canât miss podcast. The host and expert guests offer insightful advice and information that is helpful to anyone that listens! What I love about Chris is his ability to relate financial behaviors to real life situations. Hits home every time and always provides great analogies. Thanks, Chris, for all that you do!! If you need motivation, listen to Chris Hogan. If you want to know what to do when the rubber meets the road, listen to Dave Ramsey. I enjoy listening to Dave Ramsey, and was hoping this would also be a great podcast. Chris has great energy and enthusiasm, but the podcast lacks any real substance. The podcast in a nutshell: save for retirement. Not much more than that. The podcast reminds me of when I was in school, and tried filling essays with useless fluff, just to get enough words on the page. He has a lot to say, but not much of real value, episode after episode. I love Chris Hogan's book "Retire Inspired". I like his show, not as much as Dave's but still good. He sometimes acts more like a motivational coach instead of an educational coach. Still really like him. I found the podcasts short on specific, helpful information, but long on cliches. More life coach than detailed planning. All in all, a very solid podcast. Some episodes are five stars and some are three stars, but Chris is always to the point, and presents information in a way that everyone can understand. I wish I had heard something like this 30 years ago; I would have made fewer financial mistakes. So grateful for you Chris! Thank you for this powerful podcast! Changing families lives every day! Doesn't get into the specifics of saving for retirement, but an awesome pep talk and motivation of staying focused to build wealth for retirement. I've listened to this podcast since the beginning. Chris is awesome and I love his stories both personal and business. Keep doing what you're doing! I love Chris' enthusiasm! Keep up the good work! Chris has a great voice and is full of knowledge for those who want to retire inspired. Congratulations on 1 million plays! This is an awesome podcast and it never fails to inspire, which is probably the point. Chris makes you believe you can achieve what you think to be impossible. I wish it aired more than once every two weeks. The one millionth play episode was fantastic! Dave the producer wrote an amazing song that should actually become the podcast's intro and exit/theme song. Keep doing what you do guys, "you were made for this!" This podcast provides so much value, not only financially but in life as well. The world would be a much better place if we have more people like Chris. God bless! Dave Ramsey light. The answer to EVERYTHING ends with go to a sponsored link and pay commisions for your equity investments. Ignore how much the fees are. You'll get be a millionaire. Awesome podcast to get you pumped up about retirement and setting your goals to get there. Keep it up Chris. Chris Hogan is very good at getting you pumped up to save for retirement. I love listening to his voice and he has a manner of speaking which is entertaining. That being said, I lose focus from time to time listening to this podcast because I personally find it heavy on the motivation and a little light on the investment details. Issues are dealt with in a very broad manner and where other shows may delve into the specifics, Chris often recommends contacting an Investing ELP. This show is good and will definitely get you motivated to save for retirement. Thank you Chris and Ramsey Solutions!!! Great podcast. Informative and Helps keep me focused on my financial goals.